A Dubrovnik bareboat yacht charter is the ideal way to explore the southern Dalmatian coast. Take in the beautiful Elafiti Islands, with their numerous shallow anchorages – perfect lunch spots for swimming, sunbathing and snorkelling. 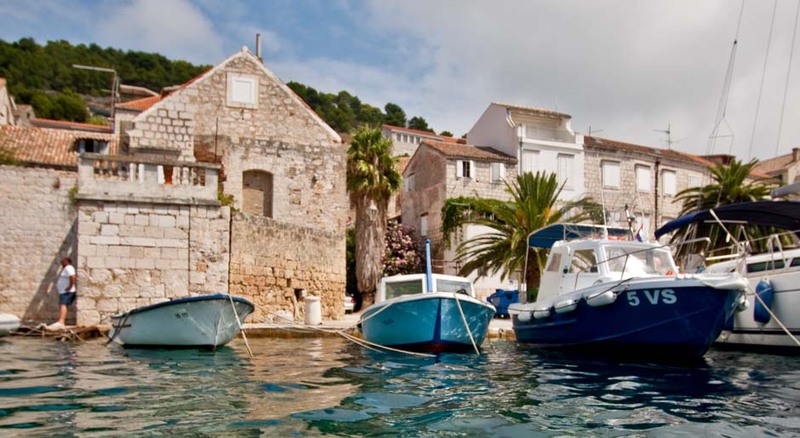 Or explore the sleepy fishing villages of Sipan and the stunning natural beauty of Mljet’s national park. The pleasant climate and steady winds makes the Dubrovnik Riviera ideal for scenic coastal cruising. With easy navigation and the warm hospitality of the Croatian people, Dubrovnik has long been a popular destination for those in search of a relaxed sailing holiday. 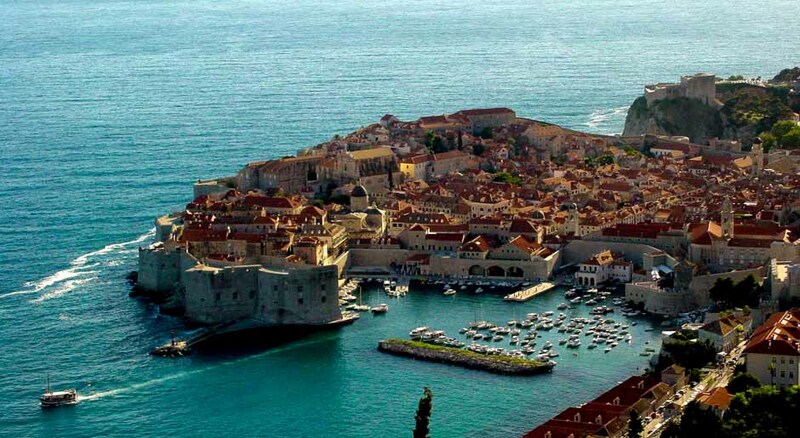 Often proclaimed ‘the pearl of the Adriatic’, Dubrovnik is clearly special. The city walls surrounds marble streets and baroque style buildings that exude a pearly light in the Adriatic sun. The main pedestrian thoroughfare is a mélange of cafes, shops and restaurants. An eventful history can be quickly recalled with the array of churches, monasteries and museums ornamented with finely carved stone. The National Park lies at the northern end of the island of Mljet, said to be the most beautiful Park in the Adriatic. Luka Polace provides spacious anchorage protected by four wooded islands. Take a step back in time and marvel at the castles overlooking the bay that dates back to the 3rd century. Spend a day exploring the forest-shrouded saltwater lakes of the National Park. Cycle or walk around the lakes, the clear green waters just cry out to be swum in. Named one of the most beautiful islands in the world, Korcula has rich and tiny secluded bays filled with small towns and villages dappled with red roofed houses. Vela Luka, the largest town on the island of Korcula has changed significantly over the last 100 years, transforming from a quaint fishing village into a cultivated and picturesque town booming with culture. Check in at 5:00pm, we advise arriving an hour before. From base marina Dubrovnik you will enjoy a pleasant two hour sail towards the island of Lopud. Car-free and certainly carefree, the island of Lopud is a beautiful island known for its lush vegetation, pristine beaches, and history that dates back to the 16th century. Spend the day walking along the lively seaside walkways refreshing your taste buds with fresh seafood and traditional Croatian cuisine whilst sipping tropical cocktails. 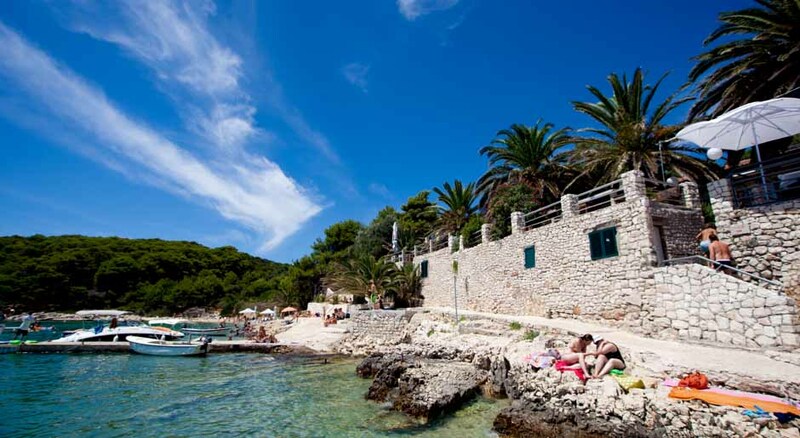 Set sail to the Bay of Sunj after lunch, which is considered by many to be the most stunning beach in the Adriatic. The crystal clear waters invite for world class snorkeling. Stroll through the picturesque Sunj settlement and enjoy some of the local shops and delicacies. From Sunj Bay you will set on a relaxed two hour sail towards the Island of Mljet. Being a Croatian National Park, Mljet is home to an abundance of lush green vegetation, sandy shorelines and a rich marine life - the perfect destination to see nature at it’s best. As well as delicious Dalmatian wines, cheeses and olives. Take your time to tour the island and explore the two saltwater lakes situated on the northern end of the island, Veliko and Malo Jezero. On an island in the middle of lake Malo Jezero you will find an old Benedictine Monastery built by a group of Italian monks between the years 1151 and 1345. Soak up some sun for two hours whilst sailing towards the island of Lastovo. The island is a small paradise that typically only sees a handful of tourists even during peak season. Enjoy walks along the rocky coastline accompanied only by the natural beauty and the crashing of the waves. Take a walk through Lastovo village and climb the stairs to the local meteorological station where you can enjoy breathtaking views of the inlets and islands that scatter the sea. Korcula Island is a one and a half hour sail from Lastovo and is the sixth largest island in the Adriatic. Korcula is home to many small medieval villages all of which have their own distinct personality and offer a unique blend of history; local wine, olive groves and architecture. The town of Korcula comes alive with religious ceremonies, street festivals and traditional dances that will surely keep you entertained. Head towards Orebic on the peninsula of Peljesac for a refreshing morning swim. Then, set sail towards the south. With its rocky landscape, Peljesac offers the perfect soil for grapes, enjoy a day of wine tasting the Croatia’s finest. Ston village was and is an important salt-producing town which led to the fortification of the city: a 5.5 km long wall was built in 1333, giving it the name of “European Wall of China”. Wake up to the smells of breakfast onboard your yacht before setting sail back to Dubrovnik. Your skipper will take you along the coastline showing you more hidden gems, coves and snorkeling spots. Don’t leave Dubrovnik without a walk along the famous walls to discover the charms of this UNESCO World Heritage city.